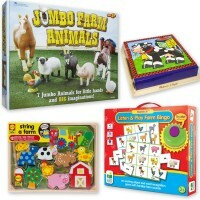 Practice your logical thinking and match the right home to the right animal pal playing this matching & memory game from Ideal preschool game collection. 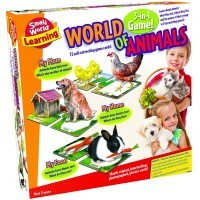 Find the right home for the friendly animals, and try to remember where it is! 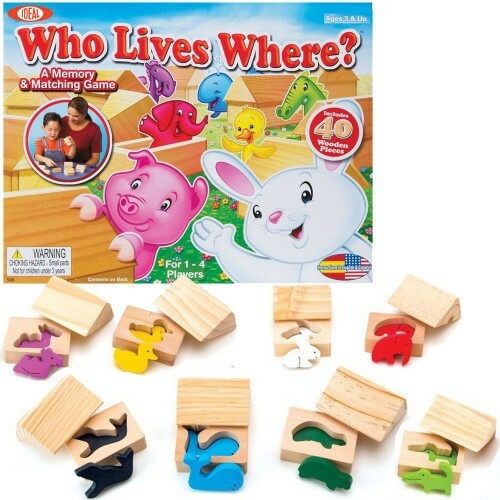 Who Lives Where? 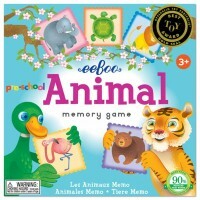 Animals Memory & Matching Game by Ideal is a terrific smart game for preschool kids. 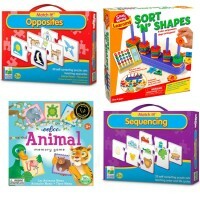 This game is a shape sorter, a matching puzzle, and a memory game - all in one box. 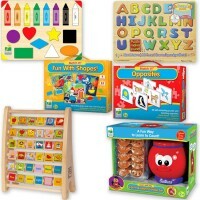 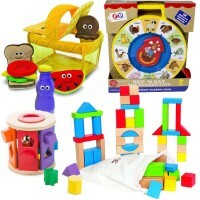 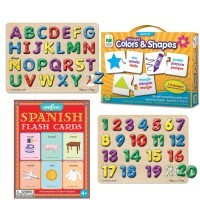 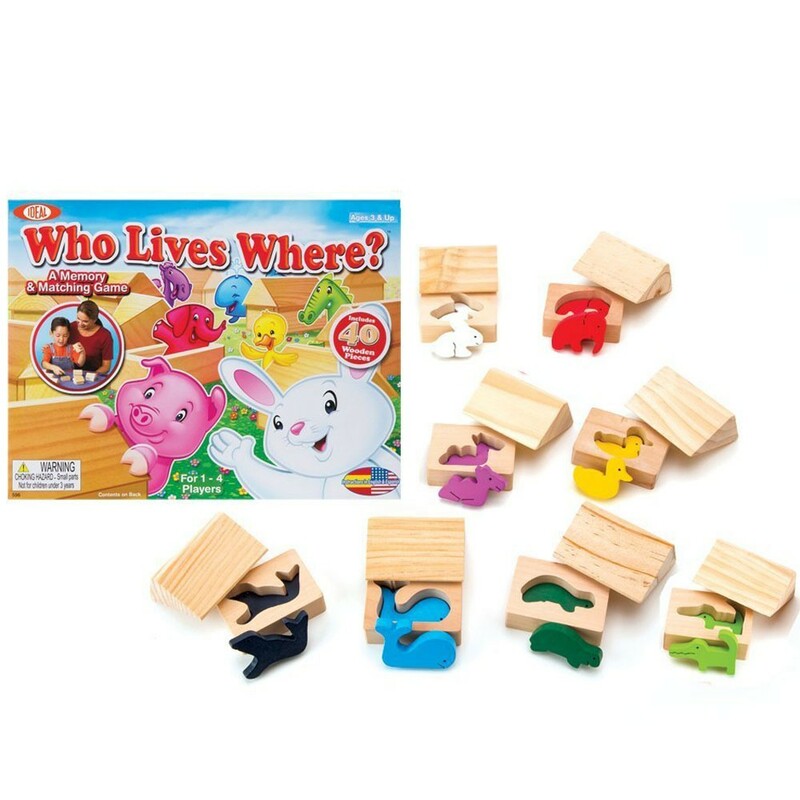 The game set comes with 10 wooden cut-out mini houses, 10 wooden roofs, 20 colored wooden animals, wooden storage tray and simple instructions. 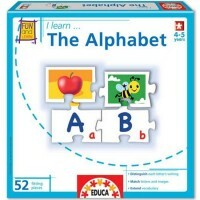 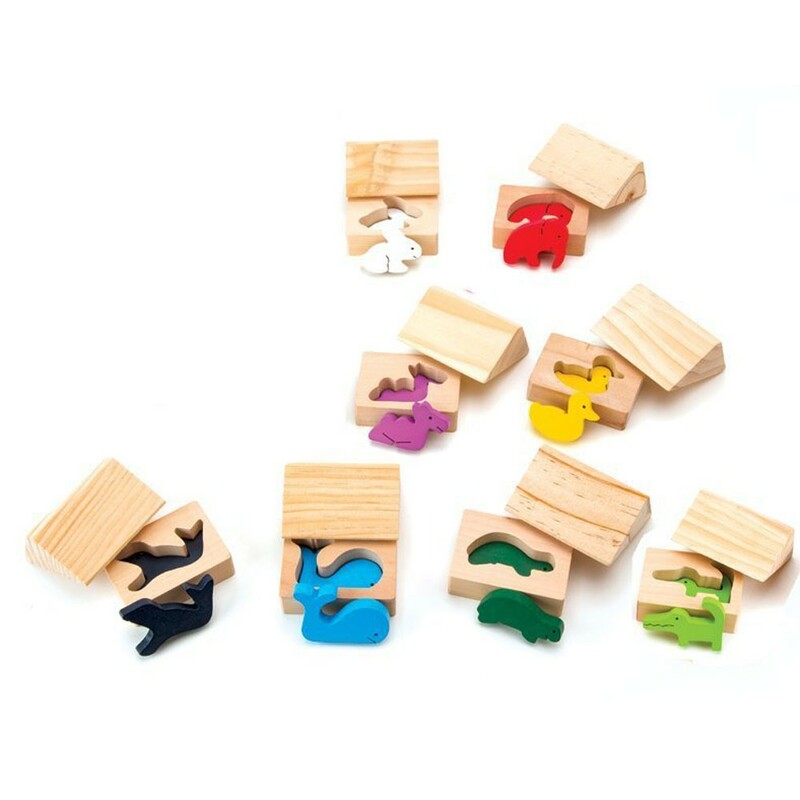 Children will like matching the little wooden house pieces to an animal that fits into the puzzle shape inside the house. 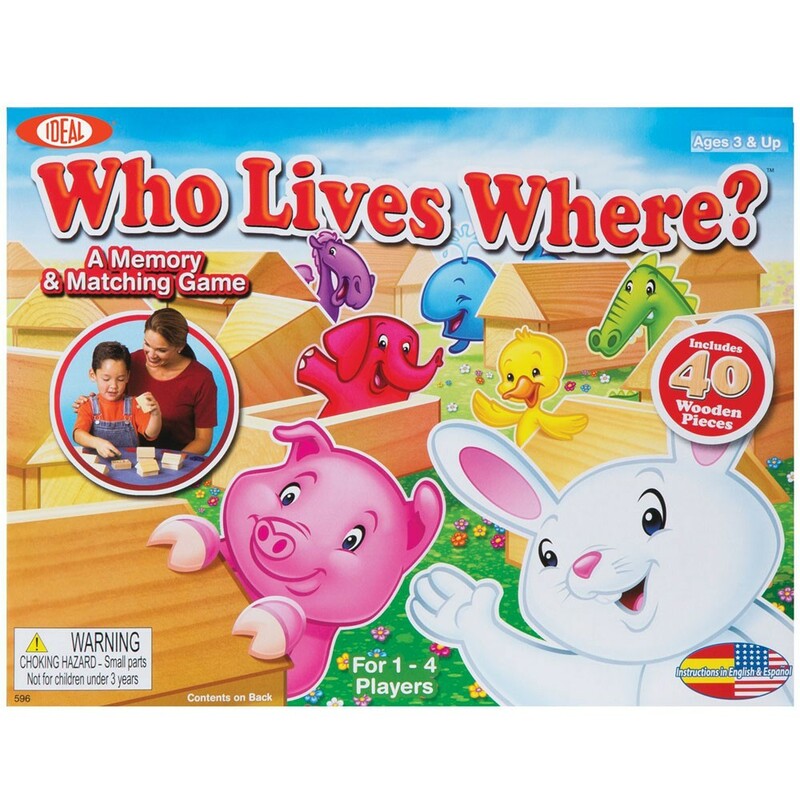 Preschool players uncover house roofs looking for the right home for their animal friends, and play a memory game trying to remember where that specific home is. 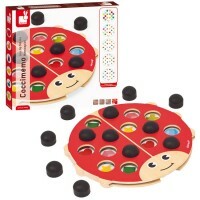 The matching game from Educational Toys Planet is designed for 1-4 little players and brings 40 wooden pieces to have some thinking fun! Dimensions of package 8.8" x 2.5" x 11.9"
Write your own review of Who Lives Where? 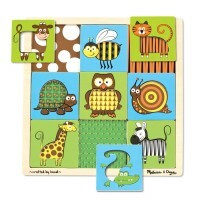 Animals Memory & Matching Game.